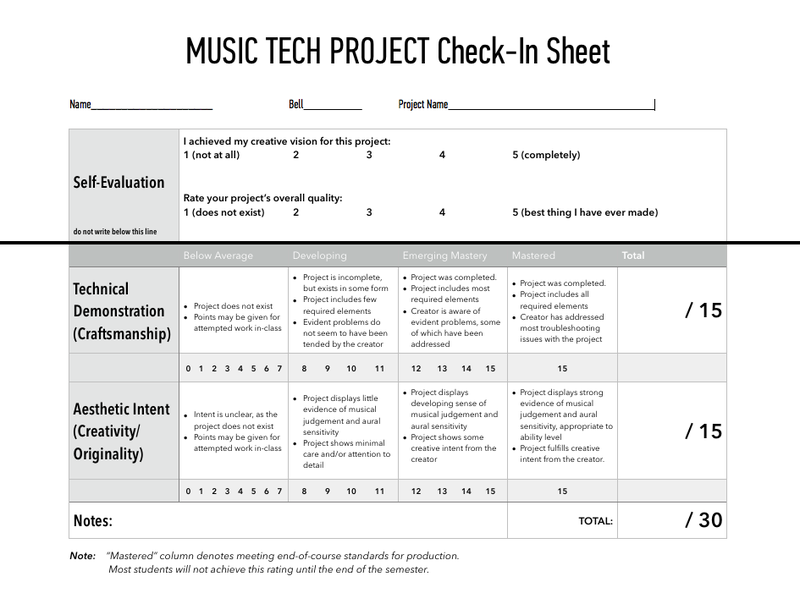 As part of my efforts to refine my methods for grading and giving feedback on high school music tech projects, I’ve decided to use the opportunity to make a standardized rubric for my projects. In many ways, this document is tuned to feed data into my SLO’s for the year as well. I set aside a day to present projects, during which I use the sheet to mark the grades. It usually works out to one class period as long as we keep the projects playing. I haven’t used this yet, but it’s the best representation of how I evaluate my students’ projects. Let me know what you think of it!